The hobby of collecting baseball cards evokes lots of conversation, whether it’s casual talk to full blown arguments, the one thing that is always prevalent, is the tremendous, genuine interest. One topic of conversation that invites lots of opinions is that of, what is a “pure” set? I would like to offer up another entry into the discussion of cards that feature more photography and fewer graphics in their design. 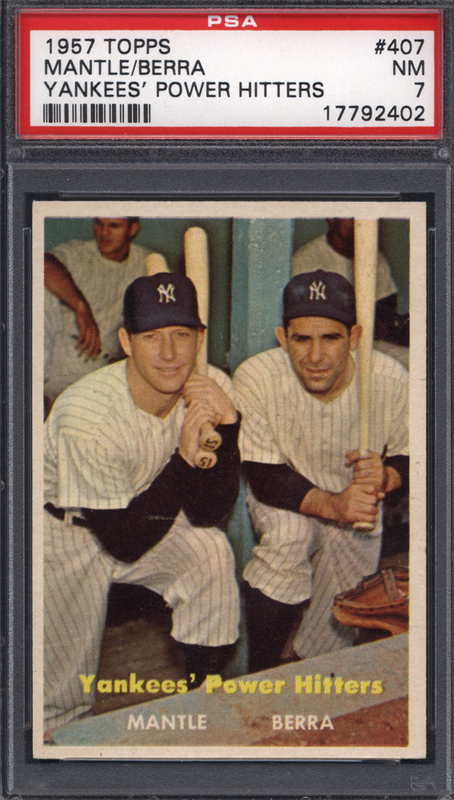 Some sets that collectors define as “Pure” include the 1948 and 1949 Leaf sets, early 1950’s Bowman sets, and even the 1975 SSPC – literally the “Pure Card Set” (yes, the word was used in its title when released in ’75). The 1957 Topps Baseball set must also be included when talking about cards that focus on the image over extraneous distractions. In addition to the 407 tremendous snapshots of players and teams, the actual players included in this set, produced by the Brooklyn-based bubble gum company, are a “Who’s Who” among baseball’s modern-era elite. 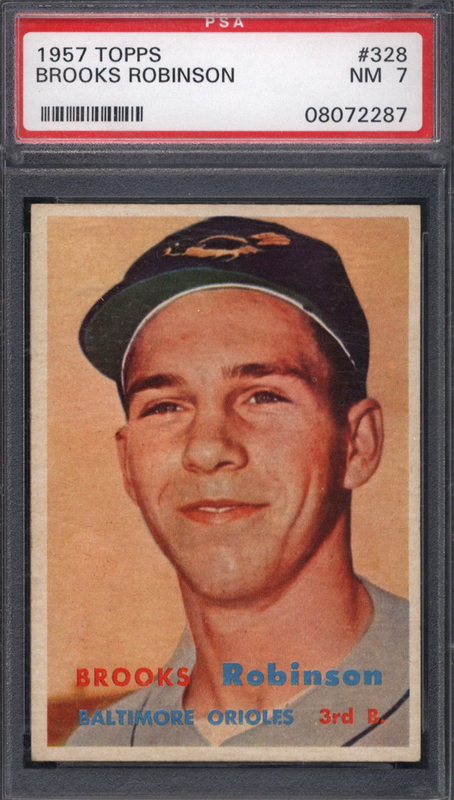 Just Collect obtained a high-grade 1957 nearly complete set – all graded PSA 7 - this week, arriving from a collector in suburban Chicago, and it is “purely” a winner. The photography is the keynote of this classic set. 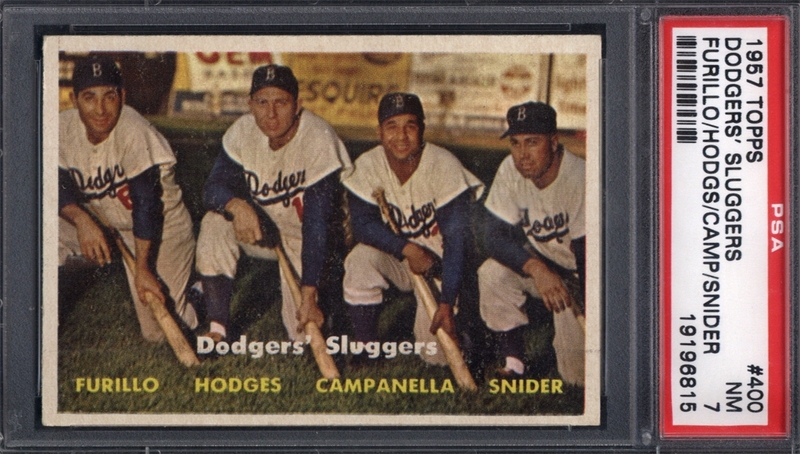 The player cards were of the now standard 2-1/2 inches by 3-1/2 inches, and within their white borders appears a vivid “wall-to-wall” color photo. It was the last year for the “New York” Giants and “Brooklyn” Dodgers, as both teams moved to California at the end of the season. The Athletics played in Kansas City as a temporary home, while the Braves were winning a NL pennant in their adopted city of Milwaukee in ’57. Player names were listed at the lower portion of each card in a subdued font, above the team name and position. The card front text was subtle enough to not detract from the player’s picture. 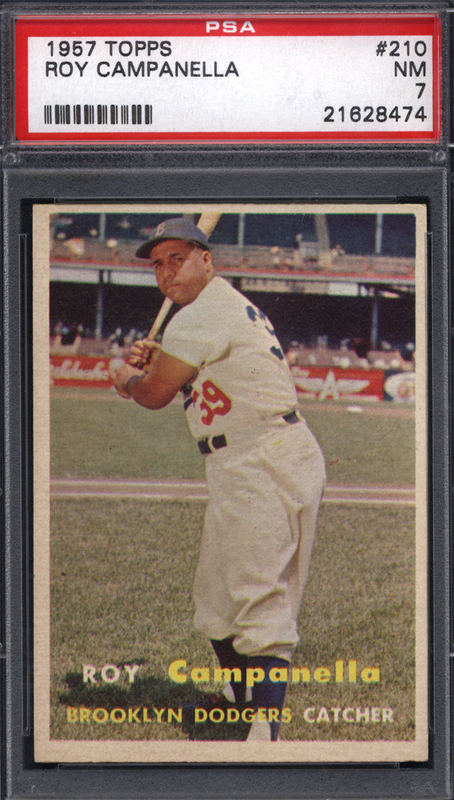 Topps also reintroduced multiplayer cards in the set, with a “Dodgers Sluggers” card depicting Roy Campanella, Carl Furillo, Gil Hodges and Duke Snider offered on card #400; while the very last numbered card in the set, #407, showed Mickey Mantle and Yogi Berra, and was titled “Yankees Power Hitters”. “I was thrilled with the interaction of your card specialist [Fred] and was very pleased with the quick and easy transaction. I gained trust for Just Collect by reading about them in the SMR [Sports Marketing Report published by PSA], and thoroughly reviewing the web site”, he stated. It should also be noted, that the entire process of the sale - from the initial phone call, to receiving the 400 graded cards through the mail - took less than a week. We invite other potential sellers to see what others say about us. You can also find a wealth of information and helpful advice about selling and buying vintage sports cards on the Just Collect web site. The market shows that you may find a few bargains among the many sales venues out there, but high-grade hall of famers bring sellers thousands of dollars, high grade sets have approached six figures in various auctions over the past twelve months. Always popular among baseball “purists” and collectors, this choice Chicago area set will be available in our upcoming auctions. 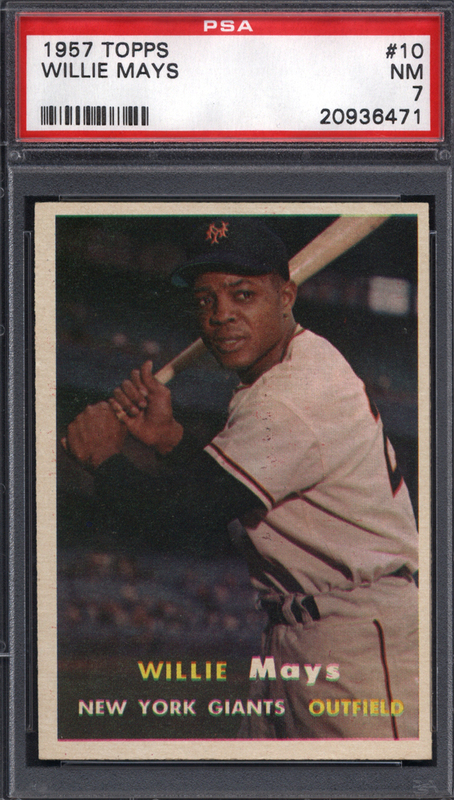 Just Collect is always seeking 1957 Topps baseball card sets and singles, and other vintage baseball and sports cards from 1879 through 1979. See our website for how to sell your cards.